On this edition of No Holds Barred, host Eddie Goldman speaks with our colleague and correspondent, the award-winning boxing writer Charles Farrell. 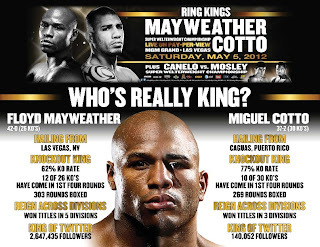 While our main topic was the Floyd Mayweather-Miguel Cotto fight scheduled for May 5 in Las Vegas, our lengthy discussion, which took place by phone Wednesday night, countered the mythology and general propaganda which are widely spread in what is laughingly called the boxing media. Regarding this fight, likely to be the biggest boxing event of the year, Charles Farrell said, "It's a consolation-prize fight." While he did add, "It's a worthy fight," he elaborated on this theme: "But this isn't the fight that people want. I think it's the fight that we get in light of not being able to get the fight that people want." 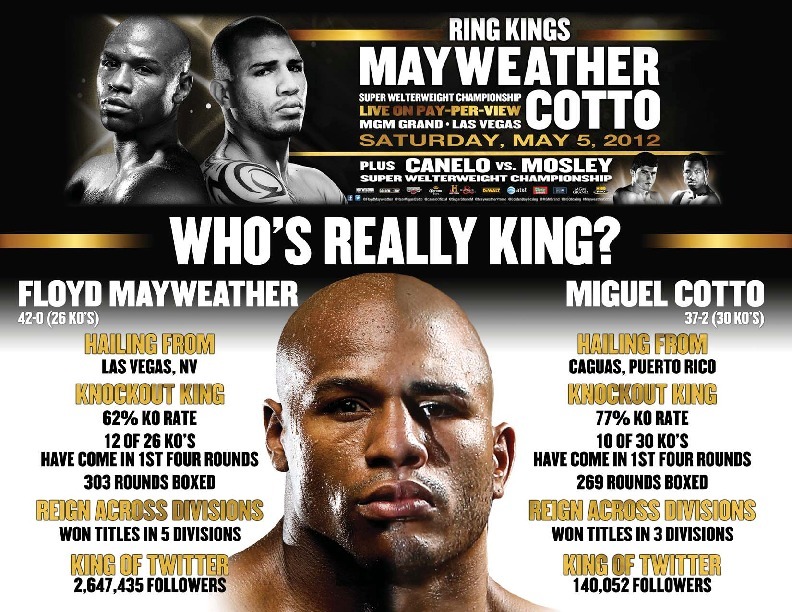 We discussed what and who are real in boxing and who are not, including fighters and media, and what is the likeliest outcome of the Mayweather-Cotto fight. We examined the options for both fighters after this fight, especially if Mayweather wins as expected, and why the stigma of losing has prevented many fighters from facing riskier opponents than they often do. We also discussed the many controversial and even absurd verdicts of many boxing judges, how and why boxing especially in America continues to decline, and much more.